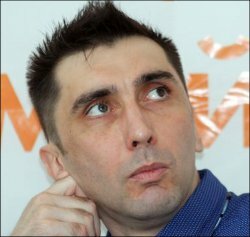 On 7 December 2012 human rights activist Vadim Kuramshin was sentenced in Taraz, Kazakhstan. Andrei Tsukanov, who heads the Committee to defend Mr Kuramshin, said that the court declared Mr Kuramshin to be guilty of article 1814, part 4, point B (Extortion) and sentenced him to 12 years in prison, with the confiscation of property. Mr Kuramshin has already been tried for the same case, by a jury court, which acquitted him in August 2012 (he was accused of blackmailing an employee from the Korday region prosecutor’s office, Muhtar Uderbayev), and then sentenced to a 1 year conditional sentence and freed in the court room. After being released, Mr Kuramshin continued his work to defend the rights of prisoners. His reports brought to light the special operation in colony Uchr AK 159/18 (Karabas village near Karaganda) and about the starving prisoner Sabina Mahinina, who was protesting against the abuse and sexual advances made by the heads of the Pavlodarskaya women’s colony. On 31 October 2012, the appeal court of the Zhambyl district court annulled the verdict given by the jury and ordered Mr Kuramshin’s arrest. That same evening, Mr Kuramshin was arrested. The human rights activist slashed his wrists in the Petropavlosk detention cell. Medical help was given, and he was taken to Taraz. Observers, family and friends of Mr Kuramshin say that the second set of court hearings took place with serious violations of the law. Civil society representatives are shocked by the speed and injustice of the decision.